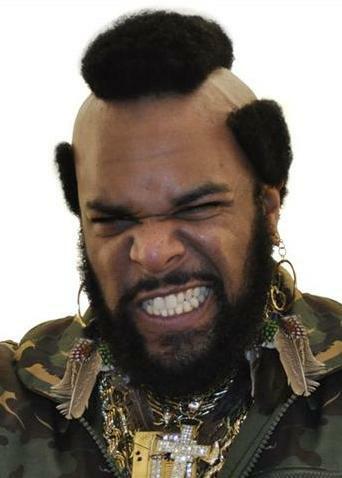 Mr T lookalike, John L. is considered to be the UK's best Mr T Lookalike & Soundalike Impersonator. John has been seen on Britains Got Tallen 2010. He is also part of the famous Chippendoubles act. John has been in adverts, print campaigns and even used as a Mr T voiceover in radio commercials. Being originally from NYC, this Mr T is as close to the original as you can get. John has even gone as far as attaining him doorman's license to work as a bouncer within the UK. Book him for your A-team or 80s themed events now !